A colourful and dramatic imaginary view of the nine planets that form our solar system. Mercury, Venus, Earth, Mars, Jupiter, Saturn, Uranus, Neptune, Pluto and the mysterious "Planet nine" are shown revolving around the sun, light by both the sun's rays and by glittering light from passing comets and distant stars. The puzzle is cut to 300 large pieces, is made from strong premium grade cardboard and has a finished size of 49 x 36 cm. The jigsaw has a linen finish print to minimise glare and is suitable for ages 9 years upwards. It is also ideal for anyone who prefers puzzles with larger, easy to handle pieces. A bit about the brand: Ravensburger is a German game company and market leader in the European jigsaw puzzle market. 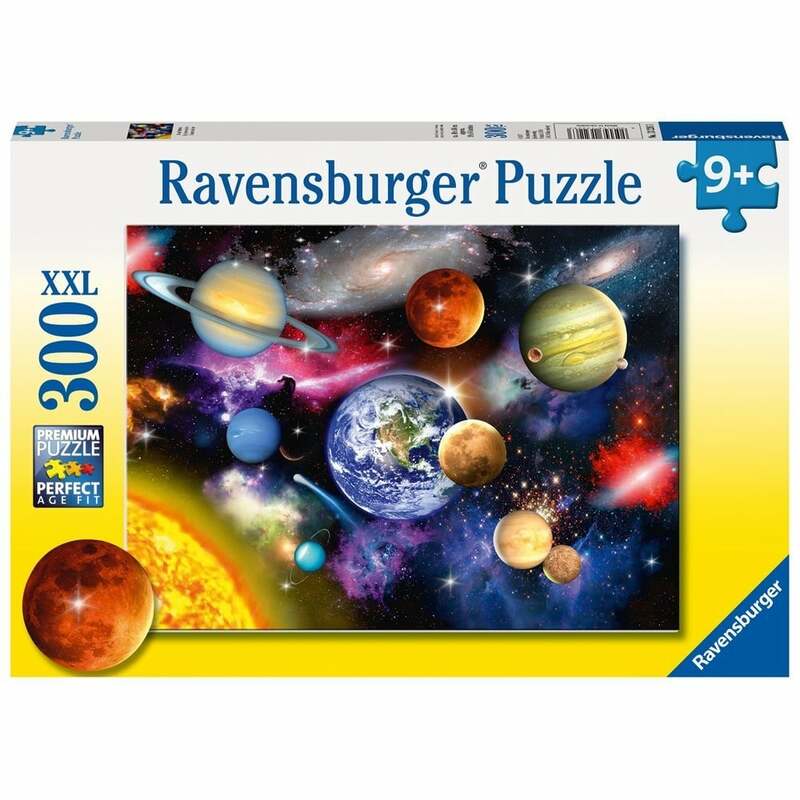 Founded in 1883, Ravensburger have been producing quality games and puzzles for generations.